This Clamp Attachment from Packline has been designed to suit a customer’s requirements where the Compac Lifting machine is used to load and unload reels of film, foil or paper from a pallet and load them into a wrapping machine. The clamp is fitted with narrow rollers with long reach capability. 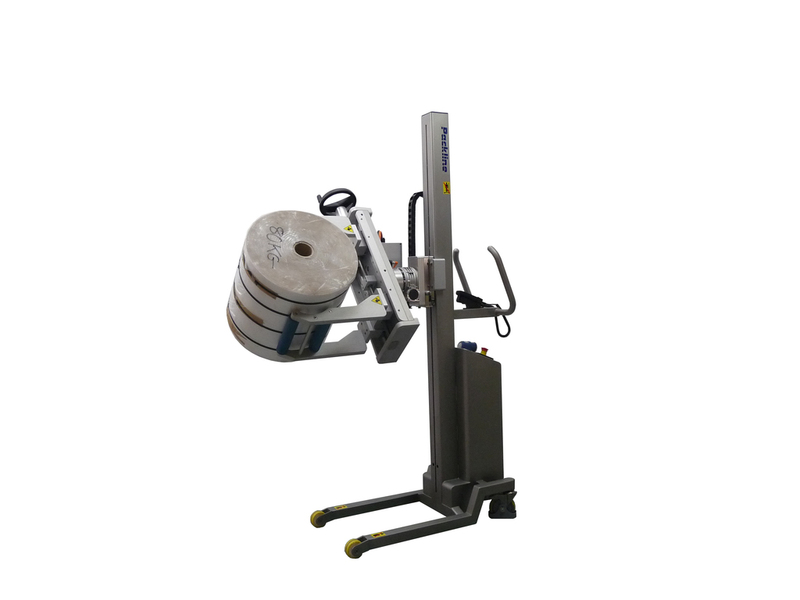 This enables the machine to lift reels from any area on a pallet, including the rear. The Clamp Attachment also has motorised rotation which provides swift and easy handling. 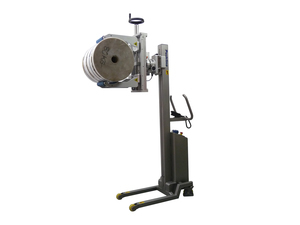 This feature is controlled by a hand held ‘pendant’ type control which means that the operator can observe the loading and unloading of the reels for greater precision. The raising and lowering of the Clamp Attachment is made by a battery powered mechanism which is operated by simple ‘up and down’ buttons. Ease of operation is further enhanced with a slow start feature that provides the operator with precise and accurate positioning when docking, loading and unloading.